The beginning of Spring has brought opportunities to view exhibitions throughout the SoWa Art & Design District. With many shows running through mid to late April, make sure to visit and see what's currently on view! In their third exhibition, AREA presents an exciting group show, Simulacrum. A multi-media exhibition, Simulacrum explores "the boundary between programmed life and the real world," the artists transform the natural world into technology. On view at Gallery Kayafas through April 21st are two photographers, Yoav Horesh's Serene Oasis and Shawn Bush's A Golden State. Both artists document "places that have promised a better life..." with beautiful, large format photographs. Horesh explores life in Tel Aviv and Bush in California. Currently on view at Gold Gallery is The Overview Effect by artist Jeremy Paul Schilling. Schilling explores "the human psyche and internal conflicts which dwell within it." This exhibition in particular focuses on astronauts and space and offers an interesting viewpoint into the conflicts it explores. From March 2nd through April 14th, Lanoue Gallery features artists Karine Léger, Jeremy Holmes, and Irene Mamiye. Léger and Holmes' pieces can be found on the main floor of the gallery. Make sure to head downstairs to see Mamiye's pigment prints on canvas! Soprafina is currently exhibiting Rose Umerlik's Anatomy - New Paintings, which will run from April 6th through April 28th. In this body of work, Umerlik is "interpreting the interconnectedness of family, relationships, our hearts and minds." The organic nature of Umerlik's paintings are enticing and definitely something to see! Rise, artworks by Laura Battle, explore themes from a recent visit by the artist to India. Inspired by observatories, Battle creates paintings and drawings in response to these experiences, which creates a great experience for viewers. This exhibition will be on view from March 2nd through April 14th. On view from April 6th through June 30th is a duo show titled "Unreal Estate." 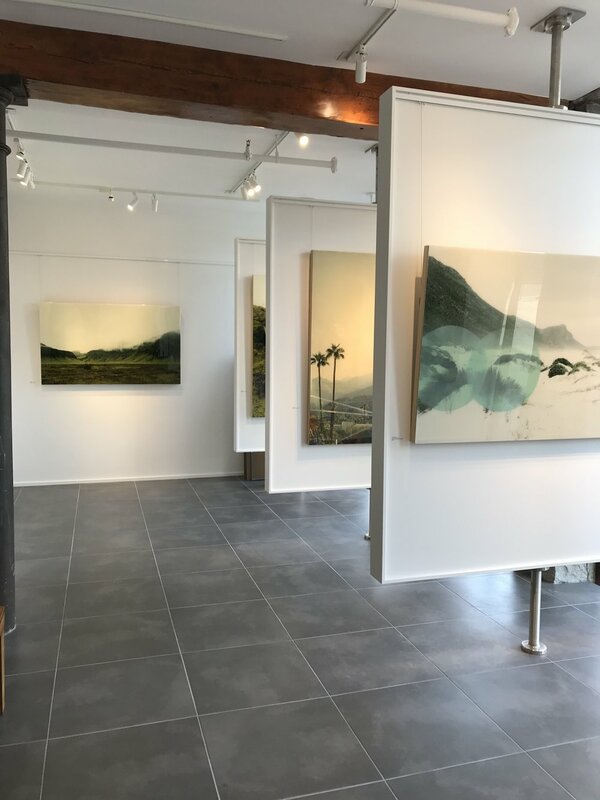 Featuring paintings by artists Jeff Quinn and Doug Henders, this show "explores the boundaries between what is real and unreal." The show provides an interesting visual look into this concept of "real" and "unreal."